A story for children and adults. Ben lives with his mother and sister near London. 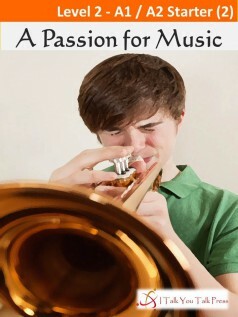 He loves playing the trumpet, and is a good player. Ben’s family is poor, so at school, he has free trumpet lessons and borrows a trumpet. One day, the government stops the music education programme. He can’t have trumpet lessons or borrow the trumpet anymore. Ben is very upset. Then he hears some interesting news. There is a music contest soon. The prize is £1,000. Ben thinks he can win the contest, but he needs a trumpet. How can he find the money to buy a trumpet? He has an idea, but it is a very risky plan.